How Far is Bharathi Sai Sukrta? Bharathi Sai Sukrta developed by Bharathi Constructions is a compact home project developed for the Budget home seekers. The project is developed over a single tower with more than 32% of open area. 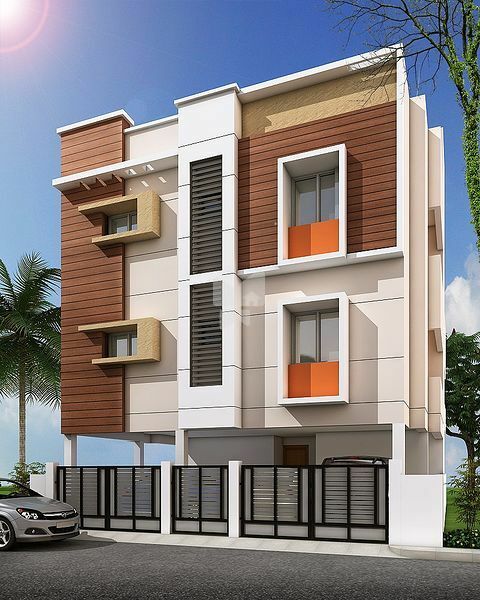 Built with compact 2BHK Apartments for sale in Pammal, Chennai. 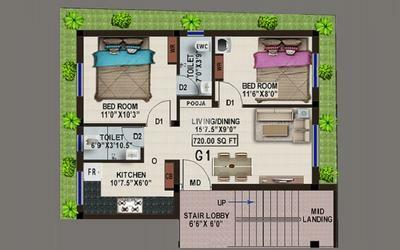 Bharathi Sai Sukrta, is a residential development of Bharathi Construction. 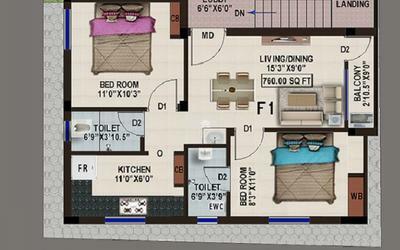 It offers spacious and skillfully designed 2BHK apartments. The project is well equipped with all the basic amenities to facilitate the needs of the residents. The site is in proximity to various civic utilities. The project is developed with Vaastu Compliant homes, RO Plant, Power Backup, Car Parking and many more needed for a gated community. 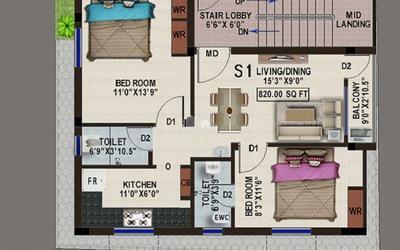 The project is well planned with maximum space utilization and luxurious living spaces. R.C.C FRAMED STRUCTURE WITH ACC BEAMS & SLABS. EXTERNAL WALLS WITH 9'THICK BRICK WORK. INTERNAL WALLS WITH 4.5"THICK BRICK WORK. TEAKWOOD FRAME WITH PANELLED DOOR SHUTTER. SOLIDCORE FLUSH DOOR WITH COUNTRY WOOD FRAMES. GLAZED TILES FOR WALL UPTO 7'0' HEIGHT WITH WHITE SANITARYWARE. BLACK GRANITE SLAB FOR COOKING TOP WITH STAINLESS SINK STEEL. CONCEALED WIRING WITH SUFFIENT POINTS & A/C PROVISIONS FOR ALL BED ROOMS.